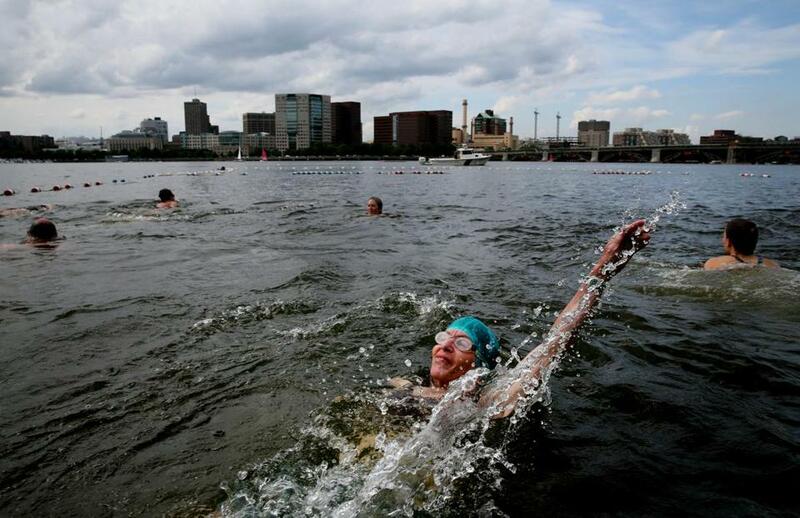 Barbara Grandbreg did the backstroke in the Charles River during CitySplash at the Esplanade. 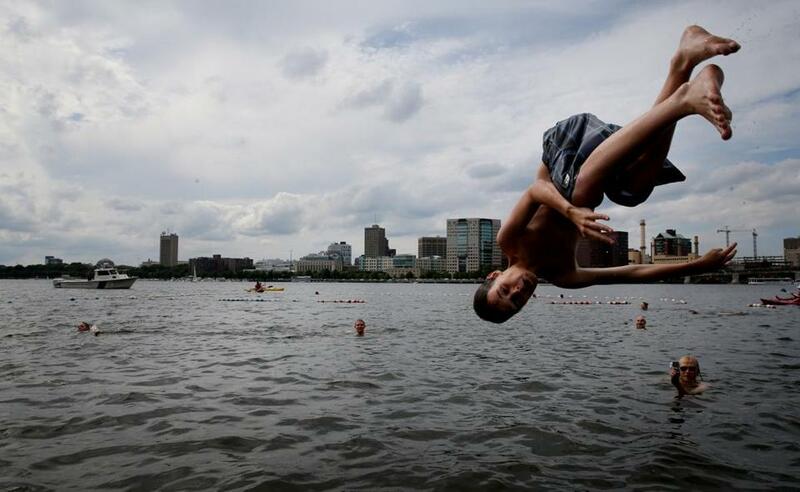 More than 100 people signed up to swim in a cordoned-off section of the river. 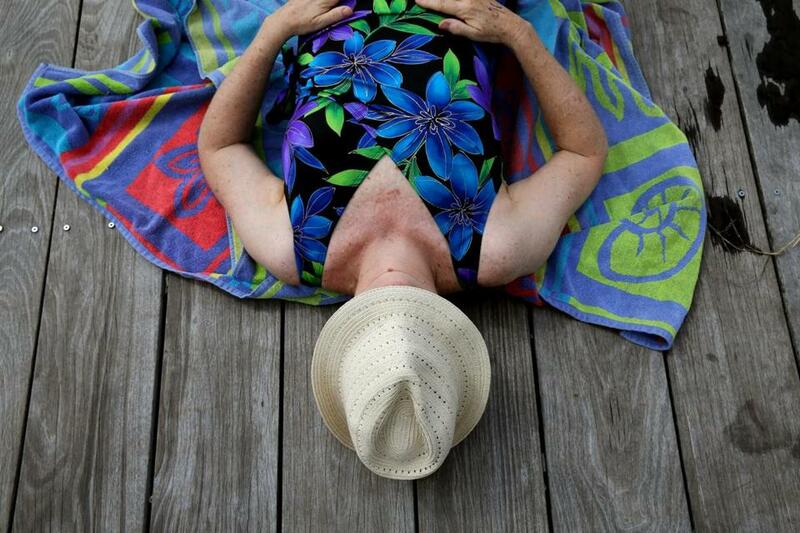 Karen Edlund relaxed on the dock before taking a dip in the Charles on Tuesday.